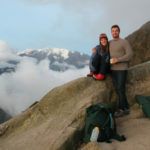 Being inspired by a travel blog he came across on the internet, Colby decided to take a look at the Knowmad Adventures website in hopes of finding a travel company that would help make his and fiancé Andrea’s Ecuador honeymoon travel dreams a reality. 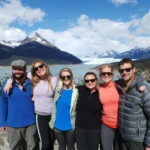 Read through their full Ecuador honeymoon trip below and get the details on which cities they visited in Ecuador, the excursions they did on the mainland and in the Galapagos Islands and more. You will fly from the USA to Quito arriving at 8:38 p.m. Upon arrival to Quito you will be met at the airport and transferred to your hotel in the heart of the old historic center of Quito. Getting an early start to the day, after breakfast you will be taken to the Quito airport for a short flight (by jet) to Yasuni National Park in the Amazon Basin. Omayra Guerron will meet you at the domestic departure gate with your boarding pass and help you check-in for your flight. After arriving to the dock, board a large, motorized canoe for a scenic two-hour trip downriver. Transfer to smaller dugout canoes and be paddled up the black water creek to the Napo Wildlife Center – an environmentally friendly lodge that offers a luxurious experience deep in an isolated setting perfect for spotting the flora and fauna the Amazon is famous for. Along the way it’s possible to see a variety of monkey species as well as large birds like toucans, parrots and macaws. After an hour or so the creek opens to an overwhelming view of the Anangu Lake where perched along the banks is the Napo Wildlife Center. Enjoy a welcome drink and briefing while your luggage is transferred to your private jungle cottage. After dinner you may choose to go on an excursion around the lake to spot caimans. Your stay at the lodge includes gourmet meals. Rise early to reach one of Ecuador’s best parrot clay licks. A total of 11 species of parrots, parakeets and macaws can be seen at the naturally created feeding ground. Later, hike along a forest trail to visit the Kichwa community of Anangu meeting villagers and learning of their culture, customs and traditions. Return to the creek and hike through the forest for half hour until arriving to the second parrot clay lick where you can find different bird species. Enjoy a tasty picnic lunch at the observatory before a late-afternoon return to the lodge. A short morning hike on a jungle trail takes you to a 120-foot canopy tower. As you ascend the 12- floor tower pass through different levels of the forest emerging on top of a huge ceiba tree. Cross onto a platform built into the tree and view the Amazon as only the birds do. Flocks of colorful tanagers pass right through the canopy, blue and yellow macaws soar past, spicer monkeys search for fruit in nearby trees, two species of toucans make regular early-morning visits, and the life of the forest canopy opens before you. Birds virtually impossible to see from the forest floor are suddenly right beside you, oblivious to your presence. Have a gourmet lunch full of fresh local products back at the lodge, and enjoy an afternoon hike through primary forest watching for a variety of lizards and amphibians, colorful manakins and endemic golden mantle tamarin monkeys. Explore the lake and creeks by dugout canoe with great possibilities of seeing a giant otter (an extremely endangered species) and take in an Amazonian sunset. Watch for giant otters, monk saki monkeys and a variety of other rare birds while canoeing through the lake and black water creek to the Napo River. 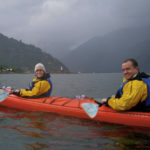 After using the restrooms return by motorized canoe and onward to the Coca airport for your flight back to Quito. Upon arrival in Quito you will be met by a Knowmad Adventures representative and taken to your accommodations in the heart of the historic city center. Enjoy a half-day guided tour of Quito as you walk down quaint cobblestone streets lined with brightly colored colonial houses and balconies dressed in flowers. Visit the Plaza de la Independencia and the impressive, La Catedral de Quito, one of the oldest cathedrals in South America. Then see the Presidential Palace along with other historically and architecturally rich buildings lining and surrounding the square. Visit the art museum in Plaza de San Francisco showing a mix of both indigenous and European styles. Enjoy the afternoon to explore independently. You will leave Quito from the south travelling alongside the length of the city out into the valley below. The Avenue of the Volcanoes opens up before you as you head south towards Cotopaxi. After passing the town of Machachi you will cross the pass that takes you to the south entrance of the Cotopaxi national park. Cotopaxi, at 5,898m, is one of the highest volcanoes in the world and easily the most visited summit in Ecuador due to its easy access for amateur climbers and experts alike. Our drive through the park brings you out onto the plain of Laguna de Limpiopungo, a lake fed by water from the volcano Rumiñahui which towers over it. At the water’s edge the park wildlife comes to refresh themselves; ducks, swallows, frogs and toads, and you may spot an eagle or a great Andean Condor. From here you will walk over fairly flat terrain to the Incan ruins of Pucara, a lookout fortress used to control the communication route from the highlands into the Amazon Jungle. If the sky is clear we can catch beautiful views of Cotopaxi and the surrounding volcanoes; Ruminahui, Sincholagua, Pasachoa and if we are lucky, the shy Antisana. At Pucara your guide will tell you the legends of these ruins and you will have a rest, a cup of tea and a snack. Heading down, you will walk next to Tambopaxi to celebrate your efforts with a superb lunch while you enjoy the wonderful view and warm atmosphere. From here you head to the Hacienda Santa Ana for the night where you will enjoy an evening meal and a hot drink by the fireside. Your day starts early at the hacienda’s dairy, helping to milk the cows followed by breakfast and a little of the history of the hacienda. From the hacienda head south along the Avenue of the Volcanoes, this stretch dominated by the magnificent peak of Cotopaxi and neighboring Rumiñahui, Sinchologua and the Ilinizas. On through the countryside, sheep and llamas graze in the surrounding fields and farms as you come to the highland towns of Pujilí and La Victoria, renowned for their beautiful ceramics. Here you will stop at a ceramics workshop to see how they work in clay and the techniques they use to paint final products. You will then have a chance to create your own ceramic. In Tigua you call in at the workshop of local artist, Julio Toaquiza, who paints on sheep skin in the naïf style, colorful scenes of highland festivals and folkloric characters, typical of this region. 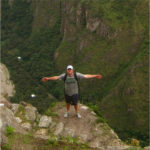 In Quilotoa crater, a nice, easy walk takes you down, some 200m, to the shore of the dazzling emerald-green Laguna Quilotoa. The lake was formed when, after several violent eruptions the crater filled with water creating a stunning, natural wonder. At the top of the crater enjoy a country picnic, before your journey back to the hacienda. You will be picked up from Hacienda Santa Ana and driven an hour and a half south to Hacienda El Porvenir, next to Cotopaxi National Park. Here you will get your gear and bikes and equipment. You start the mountain biking adventure on the Northern plateau of Cotopaxi Volcano. On the way you pass by Pucará del Salitre, an ancient Inca Fort on the way to the Western Lowlands. We continue east until we reach the Manantianles were we stop for a delicious packed lunch. Depending on how you are feeling, you can continue east for other 8 km to reach a stunning high road through the bed of an old landslide formed by lava and mud flows from past volcanic eruptions, or you can take a shortcut to Limpiopungo Lake, a wetland of high relevance for bird conservation. After your bike adventure you will return to Quito for the evening. You will be picked up at your hotel in accordance to your onward flight to the Galapagos. At the Quito airport, a Cormorant representative will meet you at the airline ticket counter to assist you in checking in. The representative will also provide you with $100 cash per person to pay your Galapagos National Park Fee upon arrival in the Galapagos. After passing through immigration and baggage claim you will be met by Cormorant staff and transferred to the yacht. You will be shown to your cabin where you will have some time to settle in before lunch and a welcome briefing. In the afternoon you’ll be able to enjoy a dinghy ride and snorkeling around Kicker Rock (Leon Dormido), also known as the Sleeping Lion because of its resemblance. This site is located off the coast of San Cristobal. There are remains of a lava cone eroded by the sea and two vertical rocks rising 500 feet above the ocean which forms a small channel that is navigable by small boats. This Galapagos Island’s natural monument has become a favorite sight for cruises due to the many tropic birds, frigatebirds and boobies that fill the surrounding area. Beneath the sea the crystal waters offer a brilliant sight of colorful tropical fish and invertebrates. Española Island is the southernmost island of the Galapagos and is the breeding site of nearly all of the Waved Albatrosses in the entire world. Española is densely populated with mockingbirds, Blue- Footed and Nazca Boobies, Darwin finches, Galapagos doves, hawks, red and green Marine iguanas and colonies of sea lions. In the morning, we will begin the day at Suarez Point on a trail where you will have the chance to see Blue-footed Boobies, albatrosses and Nazca Boobies. We will also visit a beautiful site on the oceanfront where there is a cliff that large albatrosses use as a launching pad! You’ll also have the chance to see the famous blowhole that spurts water into the air. The landscape is great for photography. In the afternoon, we will visit the spectacular Gardner Bay & Osborn Islet . After landing, you can walk across a lovely white sand beach amongst a busy sea lion colony or dive into the water to swim with sea lion pups. It is also the breeding site of nearly all of the world’s 12,000 pairs of Waved Albatrosses. We will visit two sites on Floreana Island. Floreana is known for its fabulous snorkeling sites, its vibrantly pink flamingos and its black sand beaches. 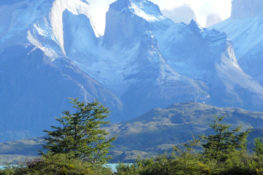 We will head to Cormorant Point in the northern part of Floreana. Here, land on a green colored beach from the olivine crystals it is composed of. Enjoy a hike to a salt-water lagoon which is home to flamingoes and other sea birds. The trail continues to another beach known as Flour Beach because of the very fine white-sand particles it is made of, it is also really important to turtles that nest there. You will also get to swim in Champion, one of the best snorkeling sites in the Galapagos Islands. In the afternoon, we will visit the famous Post Office Bay and Baroness View Point. You will land on a beach and head to a spot where 18th century whalers once placed a wooden barrel for use as an unofficial mail box. 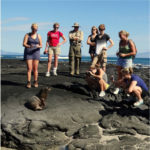 The custom continues to this day with Galapagos visitors. So, don’t forget your postcards, and don’t be surprised if the post card arrives to its destination before you even get home! Baroness View Point offers spectacular views of the coastline and is a great place to learn more about the endemic Mangroves. In the morning we start at the Charles Darwin Station- Breeding Center “Fausto Llerena” home to turtles ranging from 4-inches (new hatchlings) to 4-feet long. Here you will observe the various sub- species of turtles interacting with each other, and possibly with you. Many of the older turtles are accustomed to humans, and will stretch out their heads for a pet. The babies are only kept until they are about four years old, or large enough to survive in the wild. 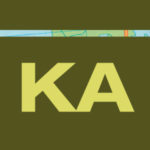 These conservation efforts continue to be extremely successful. After this final visit, you will be transferred to your hotel in Puerto Ayora where you will stay for two nights to relax on the beach and explore town independently. Enjoy your final day in the Galapagos by relaxing on the beach or exploring town. You will be transferred from your hotel to the airport in accordance to your flight to Quito. Upon your evening arrival in Quito you will be met at the airport and transferred to your hotel conveniently located close to the airport. You will be transferred to the airport in accordance to your early morning flight home.